Ideally suited for upscale environments, these textured brown and mirror brass steel trash receptacles feature clean lines and elegant accents. The exceptional durability of the textured powder-coated finish provides a low maintenance solution for prominent areas. 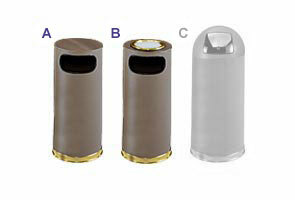 All receptacles feature heavy gauge fireproof steel, protective vinyl trim on all side disposal openings, and a bottom rim designed to protect floors. 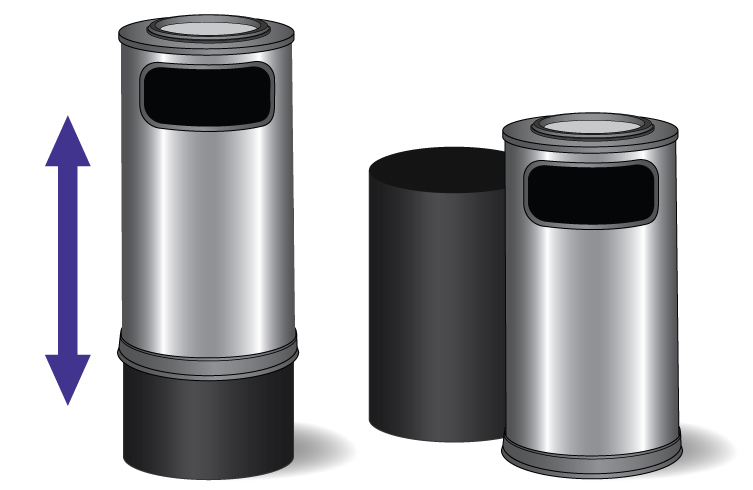 Available as ash urns, trash cans, and garbage cans with dome top and push door.